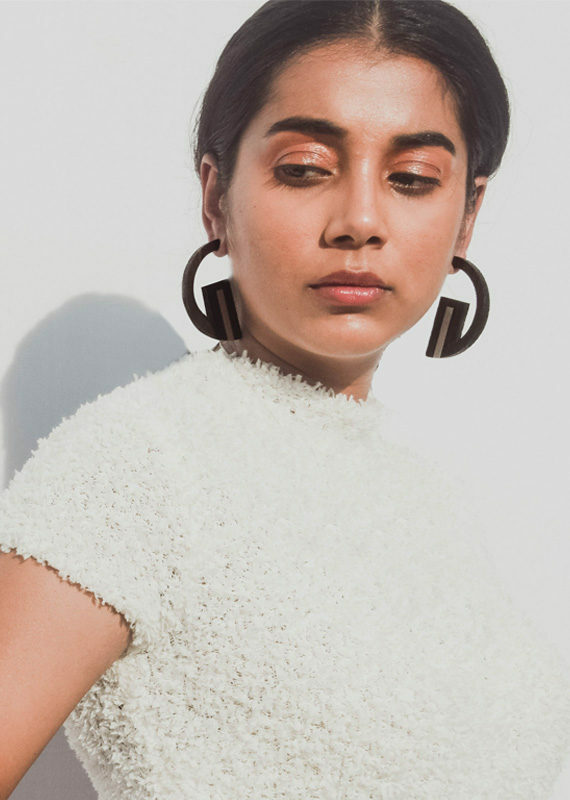 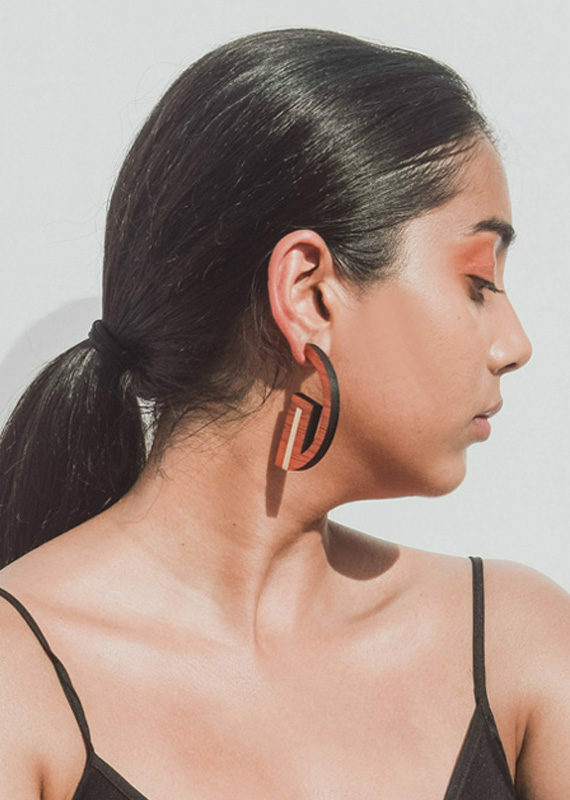 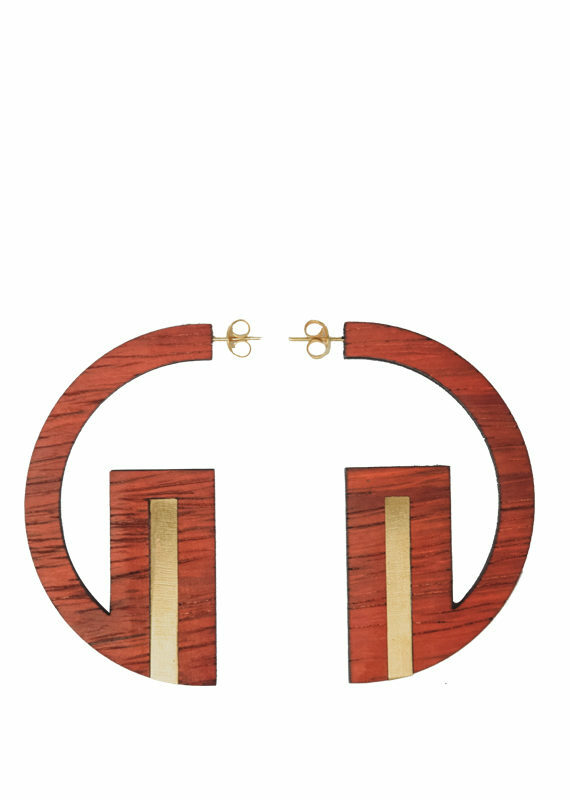 Structural earrings inspired by the Bauhaus design movement. 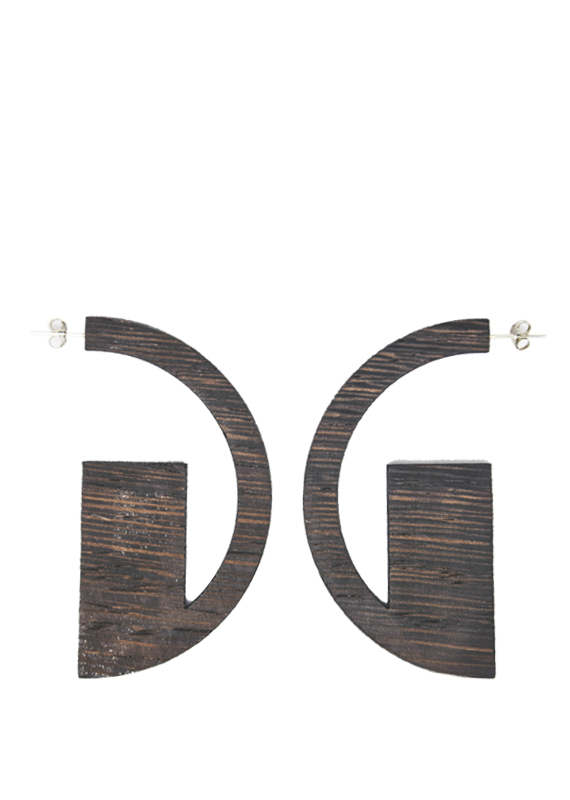 Each piece has a unique grain and the natural colour of the wood. 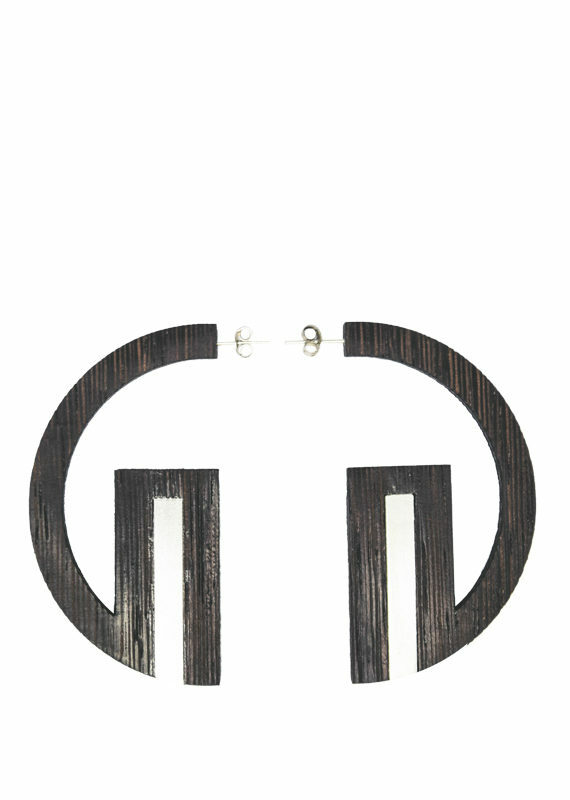 Bold yet minimal, pair these with any outfit to add some oomph.